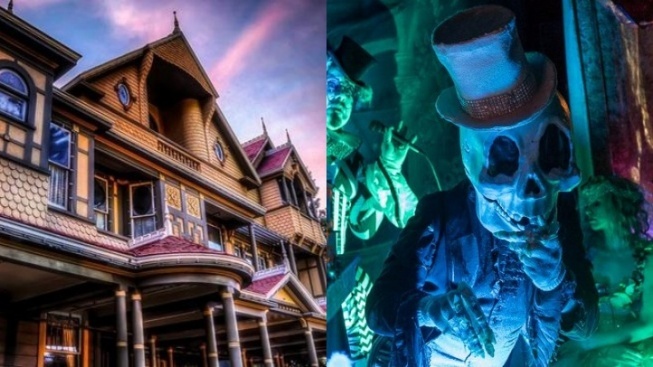 The storied San Jose structure's Halloweentime event contains delights aplenty. The storied San Jose structure's Halloweentime event contains delights aplenty. It's only materializing over 16 select nights, beginning on Oct. 5, 2018. CANDLELIGHT TOURS... also happening, concurrently, at the mega-room'd mansion nearby? Indeed. Do you need to experience this Mystic Midway with your own wondering senses, while calling upon the Winchester in the skin-tingling month of October? Best conjure the dates now, before pointing your favorite broom in the direction of San Jose.